We don’t say it enough, but our necks should be a great source of pride. In our youths, our necks afforded us a sleek, chiseled profile and a nicely contoured face. But as we age, our necks can change, developing double chins, loose, crepe-like skin, and heavy lines. A neck lift can remove that sagging, wrinkled skin and create a smoother, sleeker, and more chiseled neck. 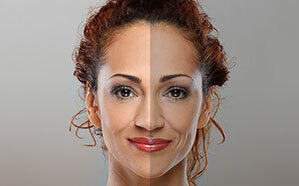 But more importantly, a neck lift can help a person achieve a sleeker, younger-looking profile. We also like to stress that, at Second to Creation, we know that aging is rarely localized to one area; it’s one of the reasons why Dr. Machida’s neck lift is almost always done as a complement to a facelift. At Second to Creation, we want to give our patients the chance to feel confident and carefree, to be proud of their appearance. More importantly, we want to give them an option other than having to undergo a major surgical procedure or hiding behind a turtleneck! We’re proud to offer a state-of-the-art non-surgical neck lift for patients who want minimal downtime and a comfortable recovery: the STC Plasma Neck Lift. This incredible technique can also be used in other parts of the body which are sagging without extensive surgery. Neck liposuction is ideal for any patient who, despite dieting and exercising, continues to have unwanted fat under the chin and on their neck. Dr. Machida can remove the fat and sculpt your chin and neck area to restore a healthy, youthful appearance. The SmartLipo procedure we use at Second to Creation liquefies fat using laser technology and then applies gentle suction to permanently remove it. The FDA has determined that this laser is a safe and effective device. Unlike standard liposuction, SmartLipo can also tighten skin, reducing or eliminating the need for surgery of the neck and under-chin. I am extremely impressed with the overall procedure. I would recommend a friend to have anything done by Dr. Machida. He is professional, kind, and knowledgeable in his endeavors to meet your expectations. My experience was nothing short of amazing! I trusted Dr. Machida from the time I met him.. I loved the combination of holistic, homeopathic, medical care and prayer. I am very satisfied with my procedure. Would highly recommend procedure and Dr. Machida. 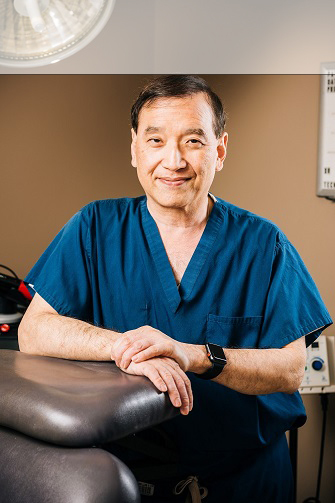 ©2019 Second to Creation, Brian Machida, MD, FACS. All Rights Reserved.